Beatrice, NE: Multiple city departments operating without phone & internet after a hacker deposited a virus through remote desktop connection. City Hall, Police & Fire departments were impacted, forcing tedious & time consuming pen & paper processes. Are you ready for flu season? Guard against infectious malspam which can spread viruses like Emotet! Protect your cyber health with strong spam filters, clear labeling of external emails, & cybersecurity hygiene training. Our President & CEO, Tim Lorello, is hosting educational sessions at multiple upcoming public safety conferences! 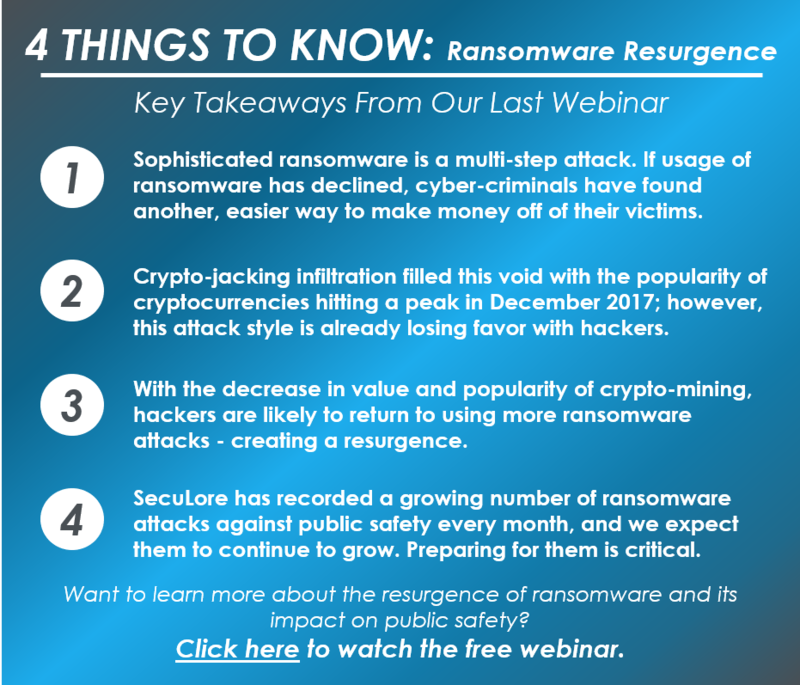 Read SecuLore's Cyber Alert on the virus US-Cert is calling, "the most costly and destructive malware affecting state, local, tribal, and territorial (SLTT) governments, and the private and public sectors."